In election years, I frequently become misty-eyed about the work of suffragettes whose valiant efforts finally culminated in women being granted the right to vote in the UK in 1918, and in the USA in 1920. It’s easy to imagine that prior to having the franchise, women were not involved in politics. It’s particularly easy to imagine Regency-era ladies were too constrained by social etiquette and gender roles to hold a political opinion, much less express one, but friend, we would be wrong. So very, very wrong. Women did not have the right to vote in the UK during the Regency era, but they played a vital role in the political life of the nation. Lady Holland was an ardent supporter of the Whig party in the during the Regency, and her home, Holland House, became unofficial headquarters for the Whigs. She and other political hostesses worked on behalf of their favored party by hosting suppers and salons for politicians after Parliament had let out for the day. Debates continued over a meal and caucuses were held in drawing rooms. Women were expected to be present at such events; in fact, a political evening only attended by men—a “man dinner,” it was uningeniously called—was quite a letdown for guests. But the political work of women during the Regency was not contained to the domestic sphere. The female family members of a man running for political office were expected to help get him elected. Women canvassed their communities, going door to door to speak to voters and, maybe more importantly, those voters’ wives. You see, even though only men could vote, his vote was often regarded as the common property of his household, and wives could absolutely influence how that vote was cast (Remember, this was before secret ballots; a husband who voted against his family’s wishes might have had to answer for it at home!). This canvassing was not limited to voters of their own class. During an election, ladies of the upper echelons mingled with the public of all social orders. It wasn’t unheard of for a duchess to call upon a butcher in an effort to win his vote. In addition to knocking on doors, women bestowed little gifts upon the electorate, such as preserves, candles, or lengths of fabric. Such treating was not seen as bribery at that time. Regency-era voters expected to be wooed! Speaking of wooing, sometimes canvassing became a little more… personal… than jams and ribbons. Remember the duchess and the butcher I mentioned a moment ago? In the election of 1784, the Duchess of Devonshire, while canvassing on behalf of James Fox, a Whig, was said to have kissed voters to win their support—including a butcher. The incident was the subject of political cartoons, and Fox’s Tory opponents attempted to smear Fox through his association with the duchess, but the Whigs were unfazed by the scandal. The party called upon the duchess to continue her work, and Fox retained his seat in Parliament. My latest release, Valor Under Siege (The Honorables, book 3), features a small town Parliamentary election. It was lots of fun to pit my Whig hero, Norman Wynford-Scott, against Lady Elsa Fay, a former Tory political hostess who runs circles around Norman when it comes to canvassing. It was wonderful, too, to learn about the political system of the era I enjoy so much, and gain a greater appreciation for women’s roles in that world. Giveaway: To win an e-book copy of Honor Among Thieves (The Honorables, book 1), please leave a comment sharing your own thoughts or memories about women getting involved in a man’s world–be it politics, the workplace, academia, etc. Contest closes 11:59 PM EDT on Wednesday, September 14, 2016. One winner will be chosen at random from all eligible commenters. All’s fair in love and politics . . .
Widowed and drink-addicted, Lady Elsa Fay has retreated to the family village of Fleck to regain her sobriety. She’s distracting herself from her troubles – and her memories of the one passionate night she shared with Norman – by organizing the Parliament campaign of her husband’s cousin. Until Norman arrives intent on winning the seat for himself. Shamed and determined, Elsa will do all she can to send her former friend and now adversary packing – even if it means breaking her own heart in the process. Elizabeth Boyce’s first taste of writing glory was when she won a gift basket in the local newspaper’s Mother’s Day “Why my Mom is the Best” essay competition at age eight. From that moment, she knew she was destined for bigger and better gift baskets. 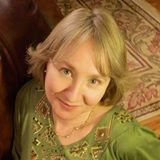 With visions of hard salamis and tiny crackers dancing in her head, she has authored seven Regency novels and novellas, resulting, thus far, in two gift baskets from adoring fans (AKA amazing friends). Elizabeth lives in South Carolina and shares her artisanal cheeses with her husband and three children. She sneaks some to the cat when no one else is looking. 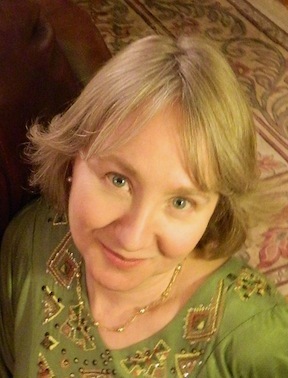 Susana, I’m so pleased to be invited to post on your blog today. 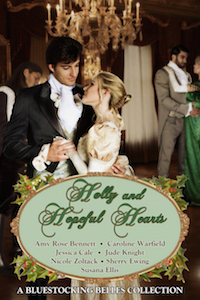 You do great service to us Regency romance writers and readers. The first thing I heard when I set out to become an author was, “Write what you know.” Tough to do since the Regency occurred about 200 years ago, but I’ve always been accused of having an old soul. I feel most comfortable around antique things – furniture that shows the dents and cracks of use, books marred by the crayon scrawls of children. Signs of life thrill me. So the challenge I set myself when I wrote Lord Monroe’s Dark Tower was to make it seem “lived in.” To this end, my heroine, Claire was inspired by my sister Jenny, and the book’s hero, Flavian, by a feline who was everything she ever wanted in a man (except shedding). Flavian was a striped tabby who walked like a truck driver but meowed like a soprano – all high and tweety. You will not find these character traits in the book, but you will find other similarities. We always had a running tab of two to three dogs and four to five cats in the house along with four excitable girls and my excitable parents. At dinner the whole mess of us would crowd into the kitchen. My mother would feed us the human food and the animals would square off over their bowls. Dogs growled, cats hissed—but Flavian was unflappable. If he wanted Friskies, he just walked up to the bowl, nudged whoever was in the way, and got it. No fuss, no buss. All the animals respected Flavian, not because they were afraid, but because he exuded that kind of authority. Jenny was mad for Flavian and he was mad for her. If he needed a warm lap she was there; if the night were cold, her bed was where he’d find warmth; should he need a treat, she’d give it to him, and when she required a dead mouse, he would provide it. In the early stages of writing Lord Monroe’s Dark Tower, I thought, what would it be like if Jenny could have her ideal love without four legs and a tail? What would that man be like and how would my sweet, quiet sister, who, like Claire, is a healer, react to such a person? And so, the love story was born. Now that I’ve confessed the origins of Lord Monroe’s main characters, for a chance at winning a free download of the novel, I’d like to know, have you ever had a pet you wished were human? Two years of bewildering silence have passed since Claire Albright’s passions were first inflamed by powerful, brooding, Lord Flavian Monroe. 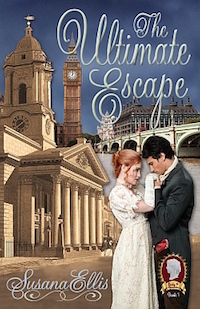 On the brink of her London debut he unexpectedly summons her, asking for help to cure his ward’s hoarding. Embroiled in a desperate attempt to curb the child’s destructive madness, Claire struggles to understand why Flavian’s kisses veer from burning desire to icy rejection. 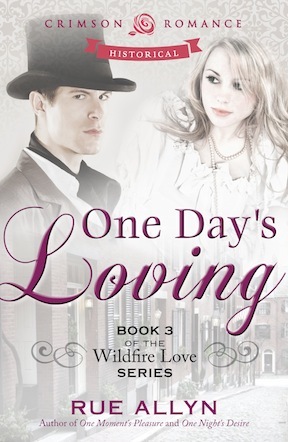 Can she reach his heart before the child’s insanity undoes their chance at love? 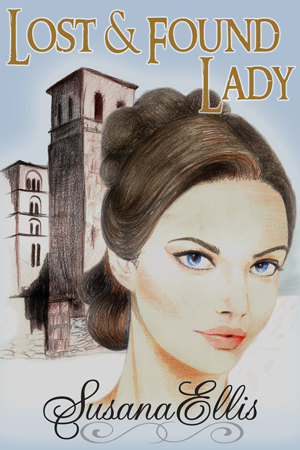 When he was fourteen, Flavian made a mistake so devastating it ruined all hope for happiness. Years later, he’s still paying for his sin. But before his ward’s troubled mind destroys his home and family, he must see Claire once more. Vowing to keep their relationship professional—she the healer, he the guardian—he finds the bonds of his resolve snapping. Somehow, he must content himself with the love that could have been, but he cannot resist . . . one final embrace . . .
“Claire!” Half way around the lake, he finally heard her answering call. His heart lurched when he caught sight of her. Dressed in pale green, she stood surrounded by a sea of yellow flowers. A straw bonnet shaded the perfect oval of her face. His eyes scrolled down her bodice. Between her breasts, she’d tucked a tiny bouquet of wild flowers: purple, pink, yellow, and white. He swallowed. As he strode toward her, she said, “This spot has enough St. John’s wort to supply…” He crushed the end of her sentence with a kiss. All the frustration, all the passion he’d whipped back since she’d come to Bingham Hall, broke free the instant his mouth met hers. He tipped her till her bonnet came off and dangled by the string around her throat. His tongue parted her reluctance and demanded her participation while he explored the wet grotto of her mouth. Elf Ahearn, yes, that is her real name, lives in New York with her wonderful husband and a pesky (yet irresistible) cat. She came to romance late in life because she had to meet the right guy before any of that love stuff made sense. Before meeting the man of her dreams, Elf was a journalist, a corporate communications specialist, an actor, an insurance underwriter (which amuses her friends because she can’t add two numbers together to save her life), and a Lithuanian vampiress. (Not really but if you’re still reading I wanted to give you a thrill.) Like many romance authors, Elf was nuts for horses, though now she’s turned to cats. (They’re not as easy to ride, but they eat less hay.) 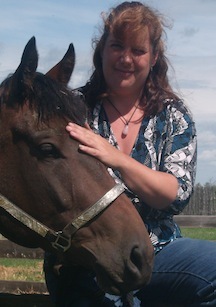 In fact, the temptation to write a horse story is what lured her into romance writing in the first place. 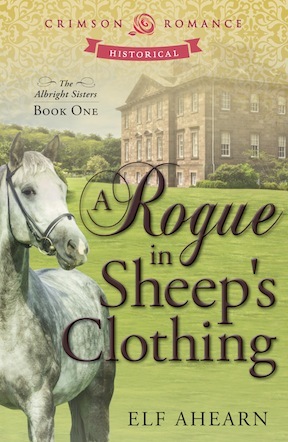 (See A Rogue in Sheep’s Clothing, the first book in the Albright Sisters series; there’s a really hot stallion in it.) Thanks for taking the time to read this post, and I hope you win the free download of Lord Monroe’s Dark Tower! Hi Susana! I’m so pleased to be visiting your parlour today. 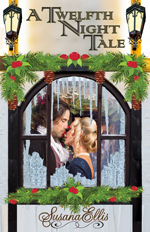 I’m Killarney Sheffield, the author of Through Gypsy Eyes, released from Crimson Romance on April 15, 2013. 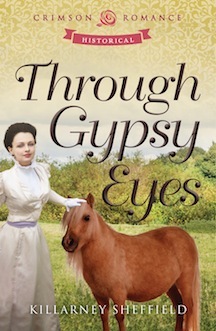 Through Gypsy Eyes is my eighth published novel. 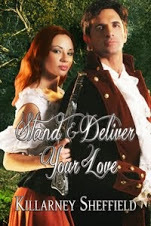 I would be delighted to offer my newest re-release Stand & Deliver Your Love from BooksWeLove to one lucky commenter. Many people have asked me just how I came up with the idea of a blind heroine and a guide animal in the form of a seeing eye pony named Jester. Like many authors I sometimes struggle with “showing” vs “telling” and developing the sensory dimensions in a novel. I started writing a short piece from a blind woman’s point of view. Obviously my character could not see the world around her but had to interpret it through touch, taste, smell and the sounds around her. It is a wonderful exercise that really helped me connect with Delilah. The story just took off from there and refused to stay quiet until I seriously wrote her story and for me as a Canadian farm gal, a book is never complete without some kind of animal sidekick. Most people would have gone with the guide dog approach but, I hate to offend anyone here, I am just not a dog person. My whole life has been spent around show horses of various breeds and disciplines.As I was thinking on an animal sidekick I remembered an old show I saw once on Animal Planet about a lady in the USA who trained miniature horses to be guides for the blind. She used a harness similar to a dogs, put cute little sneakers on the pony’s feet for traction and house-trained them. These remarkable little creatures could do everything a guide dog could and posed less of an allergy problem. From this simple show the idea behind Jester was born and he quickly became a most endearing character who threatened to steal the story in more than a few scenes! You can view a quick teaser of the tale here: http://youtu.be/S6qfLlbIkxA. True to my love of critters big and small I am currently polishing another historical romance novel with suspense, adventure and paranormal aspects to it titled Love’s Magic. It is the story of a female magician and her unusual sidekick, a black Holland rabbit named Dexter. Delilah Daysland doesn’t see herself as marriage material. After all, who could love a woman locked in darkness? Try telling that to Lord Tyrone Frost. 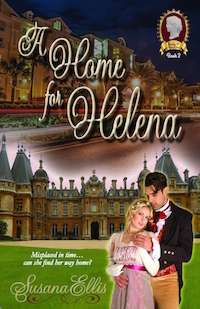 He’s determined to do his duty and see her wed to a suitable gentleman, as the King commands. Delilah has other plans. Convinced her father’s death was no accident, she must depend upon her pony Jester to guide her through everyday challenges as she seeks the truth behind mystery, murder, and deception. Though drawn to Tyrone she’s afraid to trust him, until she sees the world and love through gypsy eyes. The pony snorted and then nickered. She strained to hear anything beyond her own movement as she kept herself afloat. Was there a slight rustle in the brush? Stilling her movement, she paid closer attention. After detecting no further sound she closed her eyes, allowing herself to relax and float in the blissful rocking motion of the current. It must be a small woodland creature out to parch its thirst on such a stuffy night. There was nothing to fear from such creatures, she was sure. A soft splash gave her pause and she rolled over. Treading water she turned to face the opposite bank. Ripples rose, slapping her chest as if something waded in the shallows. She listened again. A rhythmic sloshing made its way toward her. Alarm quickened her pulse as she concentrated on the sound. Heart thudding against her ribcage, she swam backward toward the opposite bank, struggling to appear calm and collected. The stranger could accost her here and no one would know to come to her rescue. How senseless I have been. Surely Jester will be no match for a man intent on harming me. Taking a deep breath, she gathered her courage. Her feet touched bottom, sinking into the sand. Before she could turn and make for the bank his hands were on her waist. To her horror he cradled it in a firm, yet gentle grip. “Release me sir, for you do offend a lady, not a nymph.” She fought a growing sense of panic as he drew her to him. Anger and shock at his boldness brought her hand down with force to slap the surface of the water. He sputtered in response to the spray splattering his face. Perhaps I might have the upper hand. “Release me this instant or I shall scream and alert my maid who sleeps on the bank,” she bluffed. Is his intent to take advantage of a lone woman and defile me? What am I to do? Summoning her little remaining courage, she tried to reason with him. “I say again, release me good sir, for my presence will be missed at the manor even as we speak.” She grimaced at the tremor in her voice betraying her fear. He shifted, his mouth brushing her ear, and she gasped at the intimate contact. “Ah, even so I would take a moment to test your lips to see if they are as soft and sweet as your voice,” he whispered. Well, before becoming a published author I used to be a natural horsemanship trainer, farrier and English & Western riding coach. I currently live on a Canadian cattle ranch with my family, though one day have dreams of seeing the world and moving to Australia. I am still as passionate about my horses as my writing but have to work hard to balance the two these days. Which is my greatest joy? Probably my registered Thoroughbred stallion, Stamp de Gold, whom I lovingly refer to as Love Monkey. In a horse person’s life there comes that one very special equine who seems to know exactly what you want and what you are thinking. I have been blessed with two of those amazing creatures over my years of owning, training and showing, my dear departed Melderman and Stamp de Gold. For all those ‘horsey’ readers and authors out there I also have a blog dedicated to all kinds of horse info. Today I am pleased to welcome Elf Ahearn to Susana’s Parlour. She writes “Regency romance with a Gothic twist” and her book, A Rogue in Sheep’s Clothing is currently available (see below). My friend, a beautiful fellow-journalist named Susan Baker, and I decided to form a literary society. At our first meeting only three of us met, me, Susan and this guy named Dave. We read scraggly little fragments of our fiction to one another and offered lame criticism mostly based on good reporting skills. Susan’s piece was incredible, though. It was a story about a crabby old woman befriended by a guy who takes the time to talk to her—to find out what made her so upset. After that first meeting Susan left the paper for a job at the front desk of a factory. The pressure to make deadlines, she said, was killing her. In fact, I’d noticed that for hours sometimes, she’d just sit and stare at an empty screen on her monitor. A few weeks passed and Susan and I decided that the ideal excuse for a get-together was to celebrate our birthdays. She just couldn’t muster the energy to write for a literary society anymore, she told me. The weekend before the scheduled date, I was staying with my boyfriend, (now my wonderful husband) when my sister called. Susan had telephoned with the message that she wouldn’t be able to meet for our birthdays after all. I didn’t call her back. I figured I’d phone her Monday. So, Monday came and I dialed Susan’s number. Her roommate picked up. Over the weekend, the roommate told me, Susan drove to the far end of a parking lot in Poughkeepsie. She aimed her car at the brick wall of a church and hit the gas. The impact killed her. Susan’s father approached me at her memorial service. He had a package for me—a birthday present from her. When I unwrapped it I found a red journal with lined pages. At the center of its cover, delicately surrounded by a picture of a smiling sun, curling flowers and puffy clouds, were the words, “Seize the Moment.” I’m not going to say that I write for Susan or even that I write for her memory, I write because I have to and I write because, as she so permanently proved, the moment is now. I wanted to be a writer when I was a kid, but my spelling was atrocious. Teachers left snarky notes all over my short stories—always about the spelling. My father had an expression, “xysizzle.” That’s what most three-syllable words looked like after I got through with them. So, I was afraid to write. Then a man named Steve Jobs teamed up with another guy named Bill Gates. They invented this magical machine that made it possible for me to write without anyone knowing what a terrible speller I am. Steve, Bill—you’ve made a lot of money—but still, I owe ya. Take classes! It’s amazing how much teachers know. But, if they’re not supportive, ditch ‘em. Nobody, but nobody, needs to hear how much they stink. I ascribe to the “big bang” theory of plotting. At the climax of my novels, I want gnashing of teeth and rending of clothes, fire, thunder and a whole lot of other dramatic stuff. Ergo, I usually have the end in mind before I start, but the characters push me around before I get there. I’m most creative at night, in bed. I don’t want to count the number of times my husband has gently pried the computer from my sleeping fingers. Lima beans and creatures of the sea are the bane of my existence. Otherwise, I’m not picky. Naturally, I’d like to be on the New York Times Bestseller List with movie executives licking my toes for a chance to make a film of A Rogue in Sheep’s Clothing. On the off chance that that doesn’t work out, I’d like to see the last two books in the Albright Sisters series published. Crimson Romance, the publishers of Rogue, already purchased Lord Monroe’s Dark Tower. That’s the second book in the series. Hopefully, they’ll be interested in taking them all on. My friend, Liz Shore, got the call first and I was super excited for her because she’d been through heck in a hand basket, and she earned that contract. 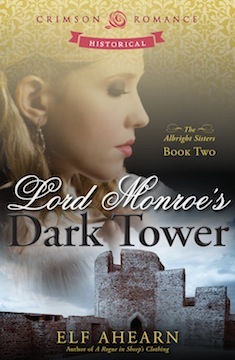 Then two days later, Jennifer Lawlor, my editor at Crimson Romance, sent me an email accepting Lord Monroe’s Dark Tower. I asked about A Rogue in Sheep’s Clothing and a few hours later she wrote back saying they wanted that book as well! Strangely, the news depressed me. Weird, right? I wandered around the house for a few hours totally unnerved. At last, I called my husband. He was so thrilled that I finally allowed myself to be happy. After that, I called Liz and we screamed for like fifteen minutes. I’d love to hear from Susana’s Parlour readers. How about telling me what your favorite/most hated foods are? The best answer gets a free digital copy of A Rogue in Sheep’s Clothing. Amazon.com (Kindle), iTunes (iPad, etc. 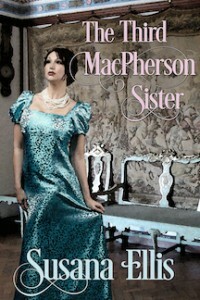 ), Barnes & Noble (Nook) and BookStrand.com. 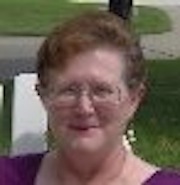 Visit me at www.elfahearn.com or become a pal at Facebook by going to elfahearnauthor. A stiff breeze swept up the massive stone edifice bringing the scent of heather, gorse, and a tinge of the dank salt sea. The beauty of it sobered her. “My God, it’s magnificent,” she said, feeling the sun’s warmth and the chill of the breeze on her cheeks. For miles around she saw only the dip and rise of the yellowed moors disappearing into soft, distant gray. Hugh broke off a branch of the plant and put it between his teeth. “Tastes like her, too,” he said. Ellie laughed. Then they grew silent, listening to the rustle of grass, feeling the hot sun, and breathing the rich smell of sweet flowers and fecund herbs. “And I shall take this moment, right now,” he said, closing his eyes. They were silent again. Ellie lay back and snuggled into the grass. The cool wind couldn’t reach her here – just the thick heat of the sun. She closed her eyes, too. A fly tickled her forehead. She brushed it away. It came back and tickled her again. She opened her eyes in time to see Hugh leaning over her, the branch of heather in his teeth. He flicked it away from her face. “Oh yes, and how would you do that?” replied Hugh, a glint in his eye. Ellie leaned over and, bringing her face close to his mouth, pulled the heather from his teeth. A bolt of electricity raced through her. She hadn’t meant to be so intimate—hadn’t anticipated the heat of his flesh against hers, or the soft velvet of a corner of his lips. Her heart beat fast and her face grew hot. She looked away, dropping the heather from her mouth. “I’m never getting married,” she blurted. Gently, he brushed a bit of heather from her lips. The caress stirred a small fire. She closed her eyes and lay back down on the grass. Joy washed over her. “That’s wonderful,” she sighed. Hugh’s hand closed on hers. Elf Ahearn, yes, that is her real name, lives in New York with her wonderful husband and a pesky (yet irresistible) cat. Learn more about her at www.elfahearn.com or friend her on Facebook.